and their Potter and Washburn cousins. 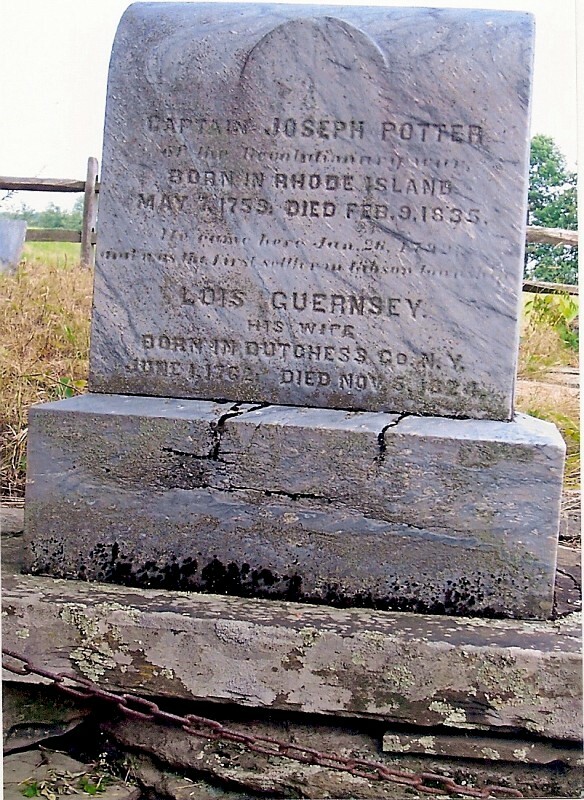 Tombstone of Joseph Potter, a soldier of the Revolution, before and after the addition of the DAR marker. At the 50th reunion it was reported that after several conversations in Polish with the family living on the (former) Potter farm, in early May they agreed to sell the cemetery plot for $50 and the deed was signed May 10, 1938, giving the reunion possession of the land on which are fifteen graves and the right of way in from the main road. 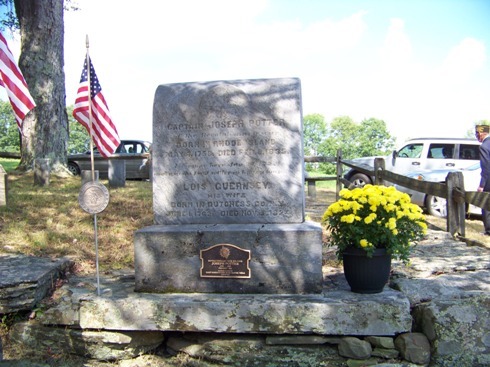 At the time of the 8th reunion that the monument was erected, and a vote of thanks was tendered Oliver Potter for his efficient work in purchasing and erecting such. 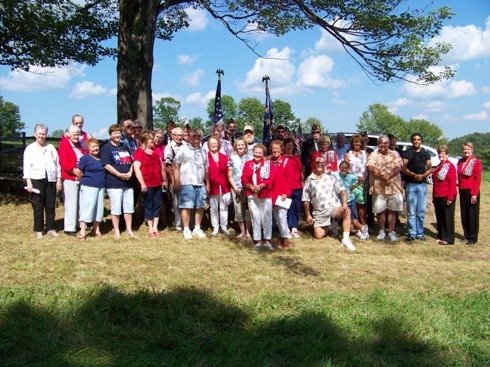 August 20, 2011 the Massy Harbison-Fort Hand and Montrose Chapters, NSDAR, with the Potter-Washburn Reunion attendees, dedicated a DAR marker in honor of Joseph Potter. It was installed on the stone just prior to the dedication. What had appeared to be cracks in the stone were not a problem. The color guard played taps at the end of the ceremony.